We partner with the Christian Reformed Church of North America (CRCNA) which works with over 1,000 CRC congregations across the United States and Canada. If you would like more information about the CRC denomination, please explore their website further! Trinity works with Rosedale Park Baptist Church in Detroit. This cross-cultural partnership was formed to help both churches be intentional about learning about each other and our racial differences. We work together, have fun together, and pray together! Trinity provides mentors in partnership with Kids Hope USA to at-risk kids at Bursley Elementary School in Jenison. These are children at-risk of not being successful in school because of various stressors in their lives. The purpose of a mentor is to spend some quality, one-on-one time with these kids on a regular, weekly basis. Please contact us if you would like more information! 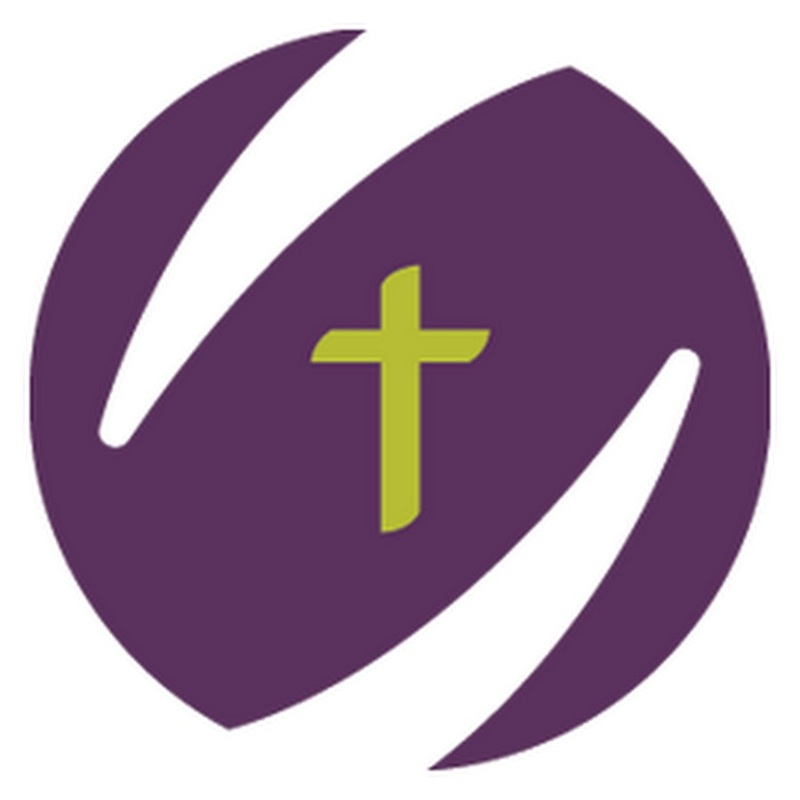 Trinity has partnered with Bethany Christian Services for many years supporting refugee families and children. We have mentored families, provided furniture, helped them learn English and opened our homes. Rev. 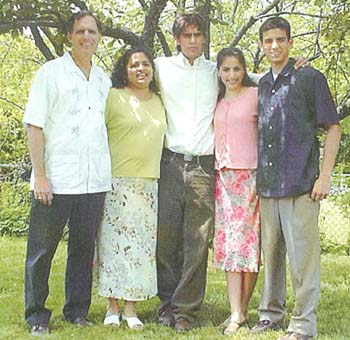 Mike Meekhof is a minister and missionary to the peoples in Zuni, New Mexico. He is serving at Zuni Christian Reformed Mission. Rev. Meekhof is encouraged by seeing evidence of the Holy Spirit working through the people of the church and in the community. His prayer is that the Zuni Christians are able to testify to the glory of God while undergoing persecution from their families and friends for turning away from their heritage. World Renew's mission is "compelled by God's deep passion for justice & mercy, we join communities around the world to renew hope, reconcile lives, and restore creation". Trinity has collected special donations to support the work of World Renew. 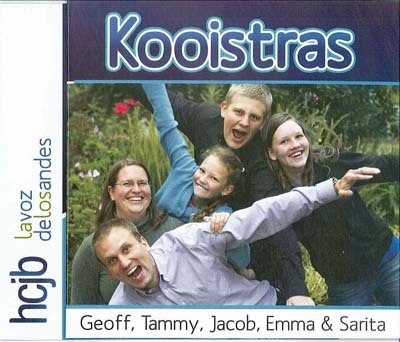 The Kooistra family has served at HCJB Ecuador for more than 20 years! HCJB Global strongly believes in using the radio as a tool to spread the good news of Jesus Christ around the globe. Through radio planting and development, HCJB Global also seeks to empower and mobilize local radio stations to make a difference within their communities. 1. Teach how to save and invest together in their own businesses. 2. Show how to restore crop fertility and grown better crops. 3. Teach better personal health care. 4. Challenge them to be peace builders. Josh and Annukka lead a Youth With a Mission (YWAM) Discipleship Training School in Finland. Their hearts are in discipling and raising the next generation of Christian leaders. The ministry center focuses on reaching out, discipling, and sending out to missions Finnish and Israeli young people. Trinity has supported service in Guinea, West Africa, since 1989. The focus of this ministry is teaching and mentoring young women, youth, and children through friendship, evangelism, leadership development, and service. The goal of this ministry is to see the glory of God manifested in Spirit-led communities of believers and Christ's kingdom advancing in and through their culture. Nicole works through Youth With A MIssion (YWAM - Wollongong). Nicole's goal is to bring aid to the forgotten poor and needy, to fight for those mistreated (human trafficking, abortion, etc. ), and to reach many people with the gospel. Nicole works in many capacities as a staff member at the Island Breeze Sydney base in Australia; this includes providing hospitality, assisting leaders, serving as a discipleship training leader, and working with youth. She also desires to start a Justice Discipleship Training School and work in justice ministry to fight human trafficking and other injustices in the world. Vinh Le was born in Vietnam into a Buddhist family. Wanting to flee Vietnam due to Communist government oppression, he was able to get to Thailand. Here he heard the gospel message for the first time and accepted Jesus Christ as his Savior. Rev. Le first worked at a church in Kentwood, Michigan, and has since been a pastor at congregations in Vancouver, British Columbia, and Los Angeles, California. Currently he pastors an Asian congregation church plant in Everett, Washington, for the Presbyterian Church in America. He has planted several small churches and has trained several elders to pastor these small congregations.